I received these cards in exchange for a review. 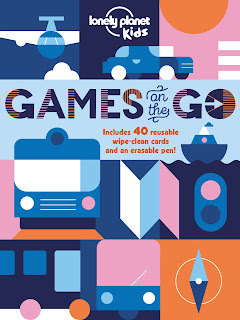 We travel a lot with our children and I'm always looking for things that we can take along to keep them occupied during the journey. 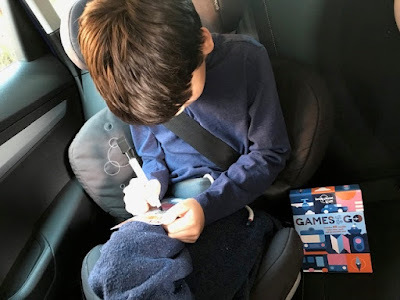 With a long car journey coming up this Easter holiday I was delighted to receive Games on the Go from Lonely Planet to review - a set of wipe clean activity cards packed neatly into a sturdy box, complete with an erasable pen. The pack contains 40 cards which cover a range of activities including wordsearches, bingo, drawing and doodle prompts and puzzles. Each card is the perfect size - large enough for a child to work on but small enough to pack away neatly. Some of the activities are ones that have right or wrong answers and others are more open ended. 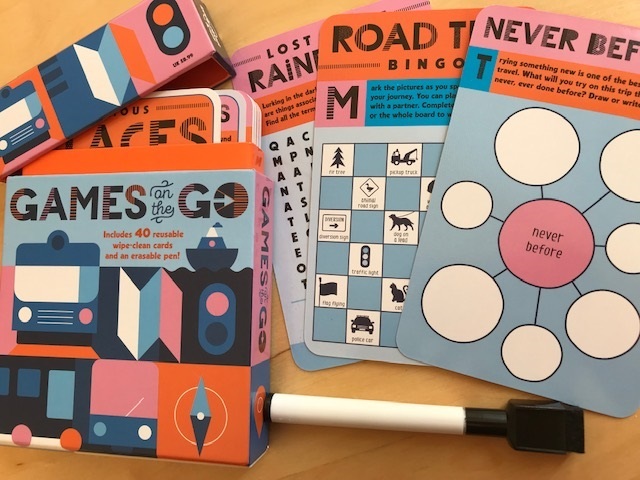 There are a few games which two children can play together, for example the Road Trip Bingo game where you are provided with two cards or the wordsearches and quizzes. Others are better used as an individual activity, for example drawing the contents of a suitcase or sketching clouds. 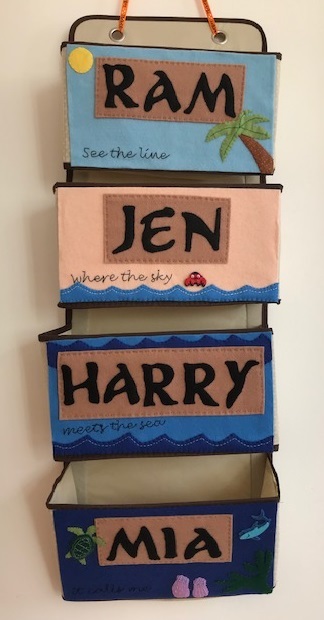 There is plenty of variety in the cards with something to appeal to every mood of every child, and because of the wipe clean design then can be reused over and over again. I'll definitely be keeping them in the glove box of the car to pull out at those moments when a distraction is needed!